However, Met Police say levels of ‘moped-enabled crime’ have fallen in recent months as a result of efforts to combat it. Oxford Street has been the worst hit with 291 offences between November 2016 and October 2017 – up from 13 in 2014-15. Regent Street saw the number of thefts jump from three to 91 over the same period, while in Bond Street the number went from one to 14. 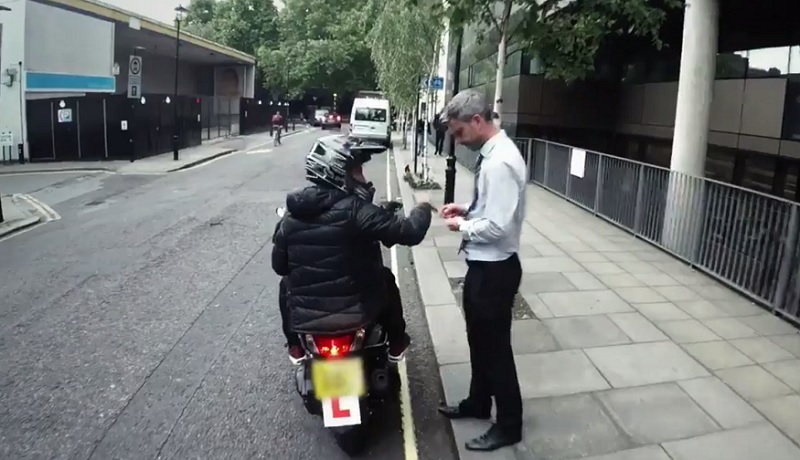 Dr Simon Harding, associate professor of criminology at the University of West London, said moped-enabled theft is the ‘crime of the moment’ as it is ‘ridiculously easy’ to do. He added that the crowds in Oxford Street give thieves cover and there are plenty of ‘rich pickings’ to choose from. Mobile phones are one of the items frequently targeted by thieves . Dr Simon Harding, said: “If you look at mobile phones five years ago, they were pretty much in our pockets unless we got a phone call. Supt Mark Payne, from the Met Police, said ‘intensive operations’ in the West End have led to a decrease in moped-enabled crime since October 2017. Police are developing tactics to tackle the crime surge, including using remote controlled spikes to puncture suspects’ tyres.